Microsoft has announced a final new slate of additions to Xbox Game Pass before the end of March. 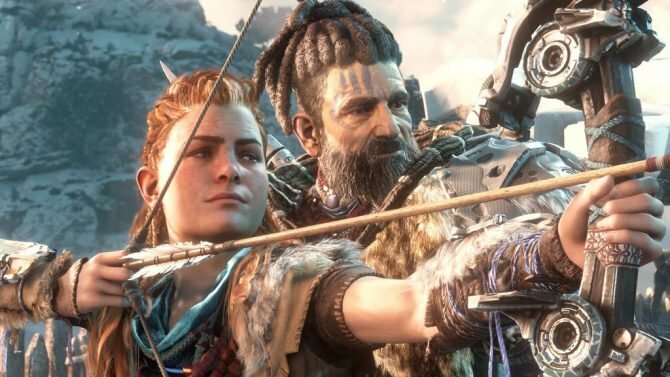 Even though we’re nearing the end of March, Microsoft isn’t done adding new titles to its already-extensive library on Xbox Game Pass. 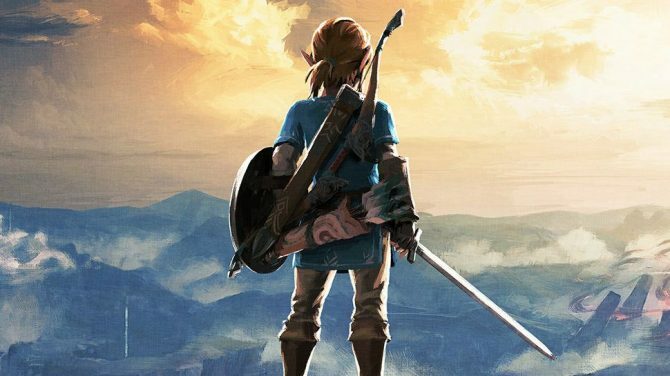 Today, six new additions were announced to soon be arriving on Xbox Game Pass with five of the game arriving before the end of the month. The new releases kick off tomorrow, March 21, when Deus Ex: Mankind Divided will be joining the service. In addition, Giant Sparrow’s stellar narrative-driven experience What Remains of Edith Finch will also be dropping tomorrow. If you haven’t played Edith Finch specifically, I cannot recommend it enough. The following week on March 28, Telltale’s The Walking Dead: Michonne will be added to Xbox Game Pass along with the arrival of 2018’s release of Vampyr. I’ve actually been looking to try out Vampyr myself for quite awhile so I’m looking forward to giving it a whirl. The next day on March 29, the dungeon crawling RPG Operencia: The Stolen Sun will then be added to Game Pass. Lastly, on April 1, Capcom’s Marvel vs. Capcom Infinite will be hitting Xbox Game Pass as well. Even though MvC Infinite was largely seen as a disappointment upon its release, this addition to Game Pass will allow you to make your own judgment on the title assuming you haven’t already given it a whirl. 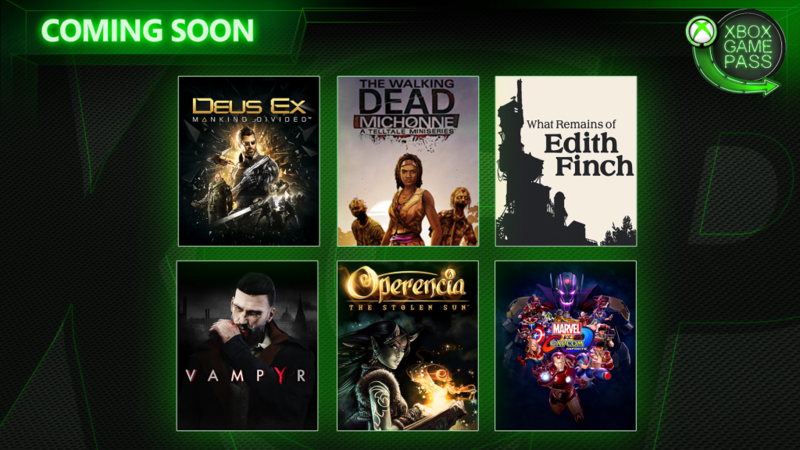 All in all, I think this is a pretty solid slate of additions to Xbox Game Pass to close out the month with each game being of a vastly different genre from the other. If you aren’t already subscribed to the service, Xbox Game Pass will set you back $9.99 monthly if you want to join. 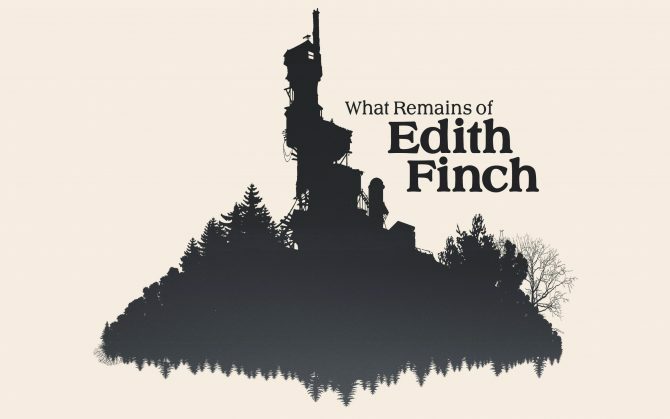 The Epic Games Store is continuing its feature of offering free regular games, the next one being adventure game What Remains of Edith Finch.